Regardless of format limits, wirelessly stream any local videos, music, and photos (not web content) to LG TVs! 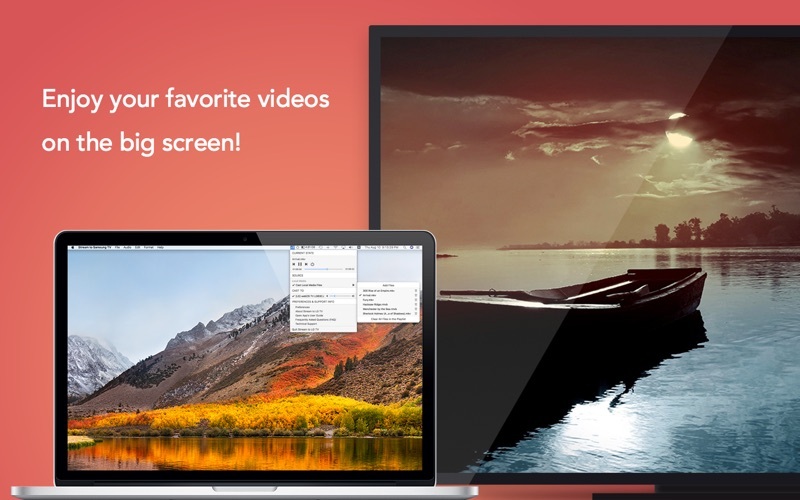 You can easily cast local videos, music, and photos with Stream to LG TV. 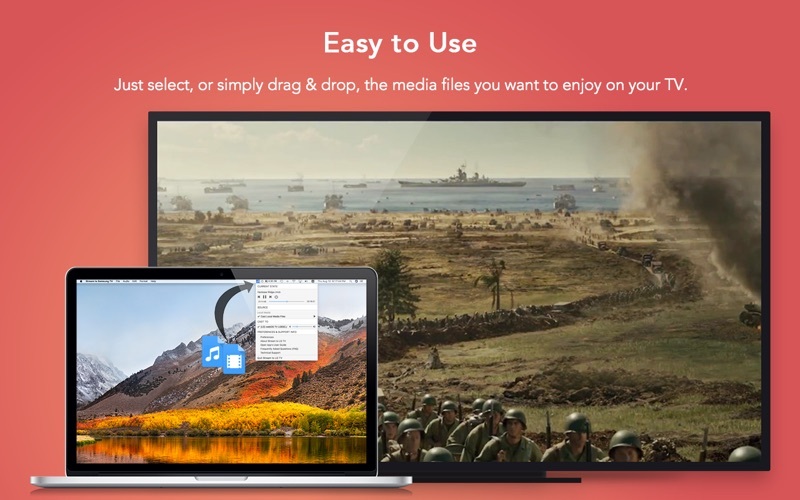 It will play virtually any file you throw at it to the big screen, including 3GP, AVI, ASF, FLV, M4V, MKV, MOV, MP4, MTS, RMVB, RM, WEBM, WMV, AAC, M4A, FLAC, MP3, OGG, WMA, JPEG, PNG, TIFF, SVG, WEBP, or any other format. 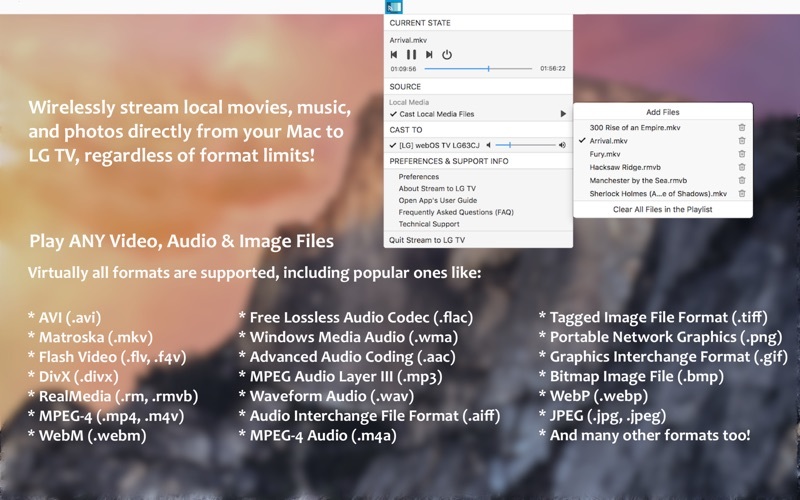 Just select the file that you want to stream, and you can enjoy it on the big screen in no time! You can use the app to change videos, songs, or pictures; play, pause, seek, and stop the playback. Volume adjustment is also available. 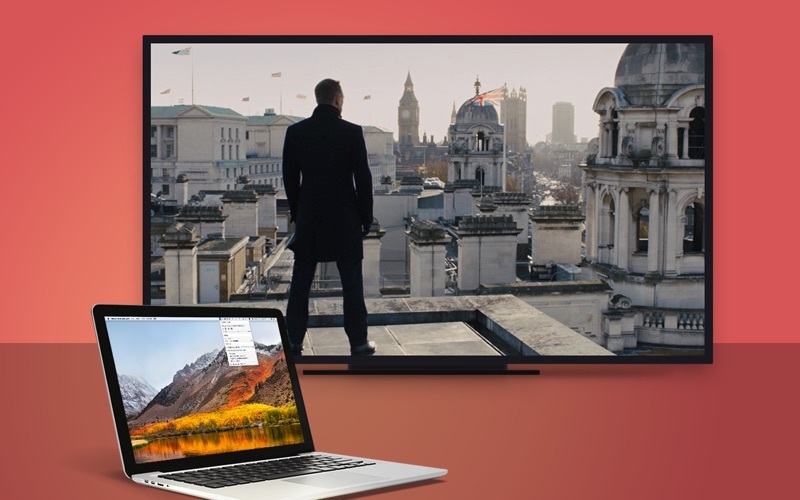 Stream to LG TV automatically discovers supported devices connected to the same network as your Mac. No configuration needed, no hassle! 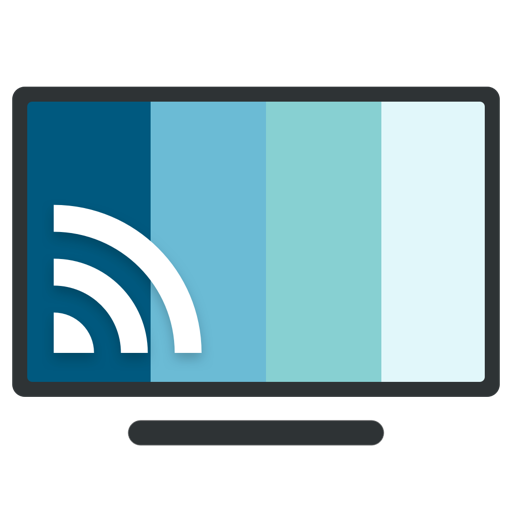 This app works on any LG Smart TV manufactured in 2012 and later. Trademark Acknowledgement: “LG Life’s Good” is a registered trademark of LG Crop. This app is not endorsed by and has no association with the company listed herein. Added the ability to stream photos in variety of formats to LG Smart TV.